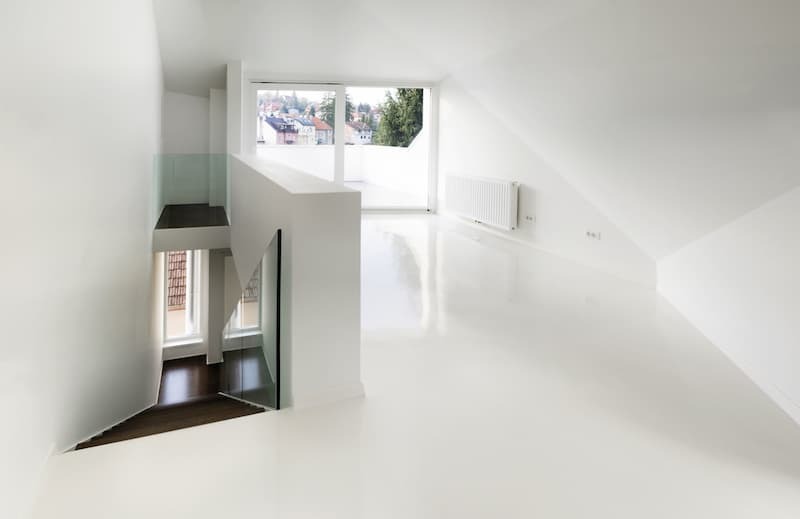 So you’ve decided that the benefits of epoxy flooring are worth the investment and you’re going to update your flooring. That’s one part of the decision. The second part is for projects under 2,000 square feet. If you’re debating between sourcing commercial epoxy from a professional supplier and installation and going the big-box plus self-installation route, allow us to make an argument for the former to save time, money and resources. Here’s the deal…consumer and commercial grade epoxy are not on the same playing field. First, the chemical makeup is different between the two. Commercial grade epoxy is far superior to big-box, consumer epoxy. The composition of epoxy resins from big-box stores vary but are typically less than 50 percent solids. Often, the portion that is not solids is a water-based solvent that is apt to evaporate. 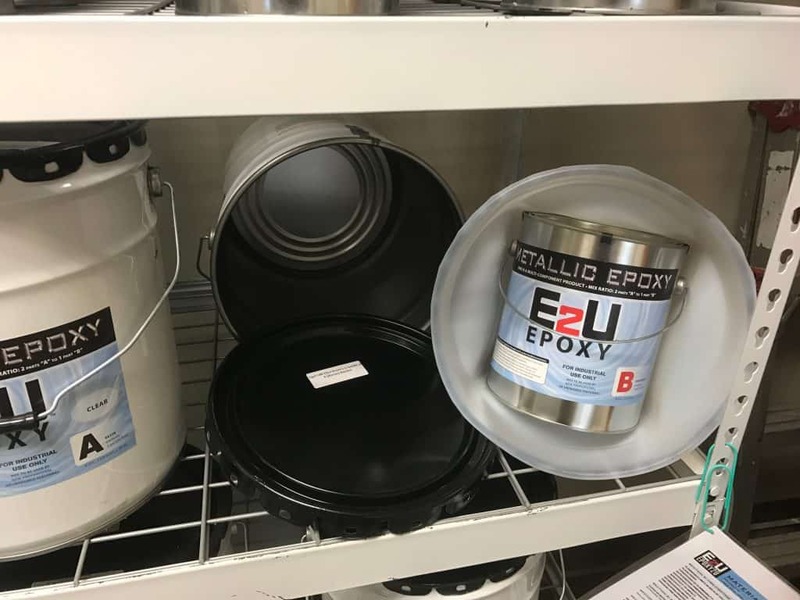 These epoxies are frequently derived from an old technology that is no longer used by professional installation companies, diluted with solvents, and sold at hugely inflated costs through big box stores to get additional profit from a low-quality product. Though they are easier to apply for the DIYer, their longevity pales in comparison to the type of epoxy that we carry at Pro Floor Design. Our epoxy is commercial grade, 100-percent solid epoxy. It does not contain any water or solvents that can evaporate nor does it have VOC’s. Because 100-percent solid epoxy is more complicated to work with, we strongly recommend contacting a professional to achieve a successful application. Though this might increase your bottom dollar initially, it will pay off in durability compared to big box store epoxy kits. Want to know the best part? When you contract out, you get a more valuable floor, and you don’t have to deal with the hassle. Our installation process layers materials in a particular order to increase longevity. The concept is a lot like pizza – you need to have the proper layering of crust, sauce, cheese, and ingredients. Prior to installation, we use diamond grinders to rough up the surface and exposure the concrete’s pores (or the crust). This exposure allows the epoxy to adhere to the floor with a chemical reaction properly. Once we prep the concrete, we apply a primer (or the sauce). Then we spread epoxy in either one or two coats – determined by the job’s specs. This process creates a strong, durable epoxy barrier with a thickness that fosters longevity. With a final height of approximately 10 millimeters, these are much thicker – and more uniform – resinous coatings. Due to their consistent depth, they are more abrasion, chemical and stain resistant than big box store epoxy kits. Contrarily, consumer epoxy kits call for acid etching and a single, thin coat of epoxy. Designed to be applied in one coat, their final thickness is only about 3 millimeters. 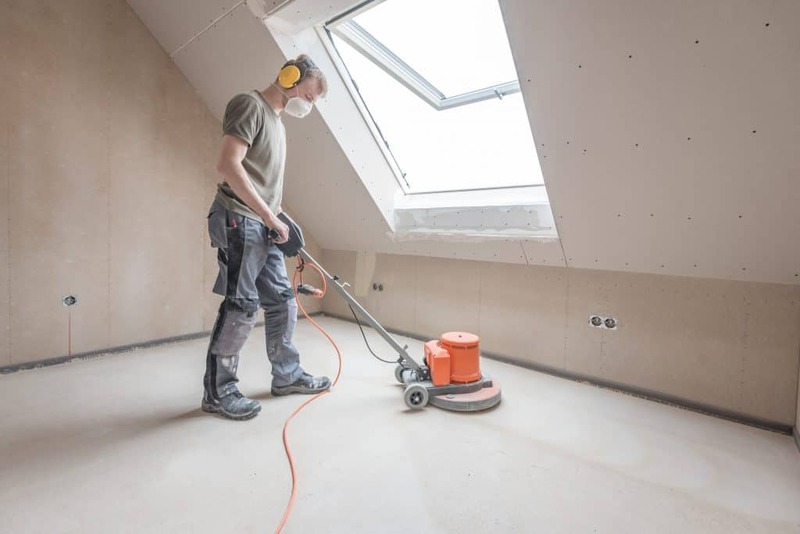 This coat will cover the floor but does not have the self-leveling characteristics and ability to hold up to daily wear and tear. Though it is more user-friendly than commercial grade epoxy, it will need recoating as much as every year due to their lack of durability. What’s the bottom line? Pro Floor Design customers save money in the long run because commercial grade epoxy and professional installation produce lasting, beautiful flooring systems.